Button Canvas (Click here to purchase this amazing one by Swanky Maison! 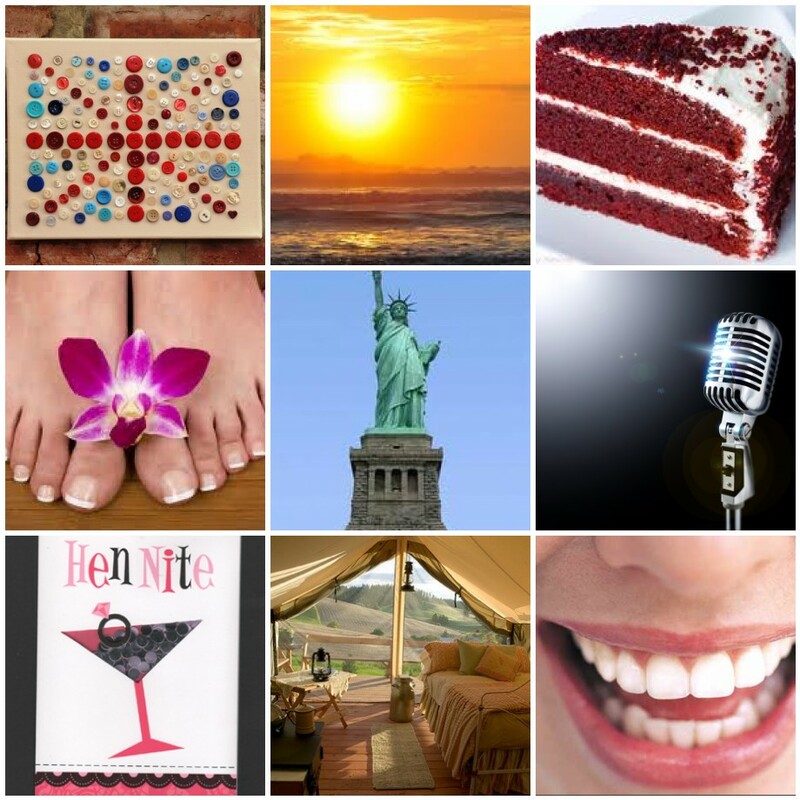 ), Sunrise, Cake, Pedicure, NYC, Singing, Hen Do Event Planning, Glamping, DENTIST! Anyone who knows me will know that I am prolific list writer. I am naturally quite forgetful and can be disorganised and since starting working life I know that lists are a GOD SEND for me in organising myself! So seeing as I write daily lists about the boring stuff, I thought it was about time I write a fun list. A list of all the things I want to do, achieve, aspire to be or do and basically check them off as and when I get it done. It was actually really interesting compiling this list so I hope you enjoy reading it! It will be situated as a tab at the top of the page as it will hopefully be continually updated! Check out my list HERE.